After a couple of harvests abroad and numerous years of wine school, Justin broke ground on his own label in 2015. 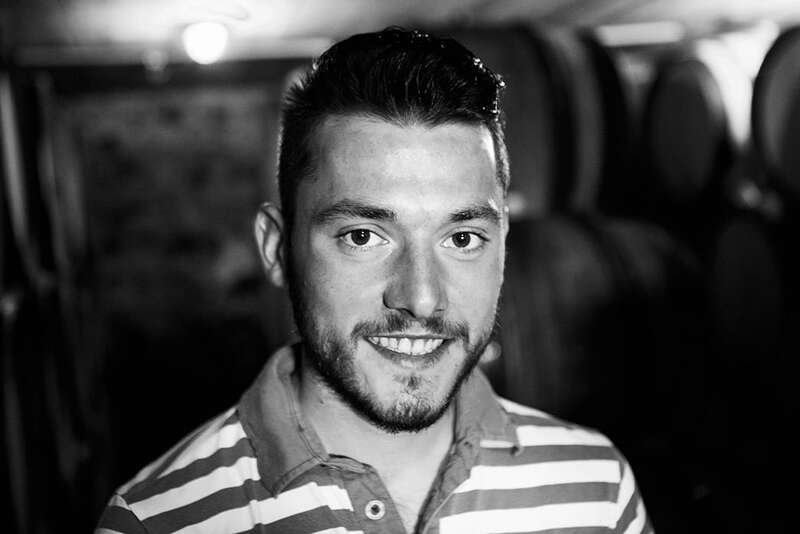 Thus far, he’s spent most of his adult life working for his famous father, Jean-Louis Dutraive, and like his father’s wines, his are gentle and fun, with seriousness brewing within. Thankfully, this apple didn’t fall far from the tree. Wise beyond his twenty-two years, Justin openly shares his ideas with his legendary dad and follows his advice every step of the way. The relationship between them is one of mutual respect and admiration, so they seem like very good friends and are an absolute pleasure to be around. 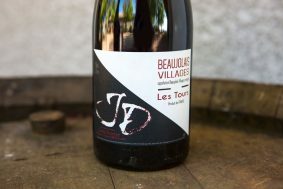 Justin managed to lease a few parcels of remarkable vines with Jean-Louis’ help, one within the Beaujolais Village appellation, below the town of Fleurie, and another parcel within one that Jean-Louis is well-known for: La Chapelle des Bois. At one point during my first visit to Justin’s vineyards, Jean-Louis and I watched Justin expertly work his way through the vines on his tractor. Jean-Louis was smiling and clearly filled with pride as he talked about the great work his firstborn son was doing. All of the momentum in popularity that has built up for Beaujolais over recent years has brought about an exciting time in the appellation. And while it’s great to see newfound attention for the once quietly sung legends such as Lapierre, Metras, Foillard, and Dutraive (the elder), there’s really nothing more exciting than watching the rise of a new batch of talented and idealistic young winemakers who let their respect for nature guide them in their craft. If Justin’s first vintage is any indication, we expect that he will quickly climb the ranks, especially when he gets his hands on more top cru vines. 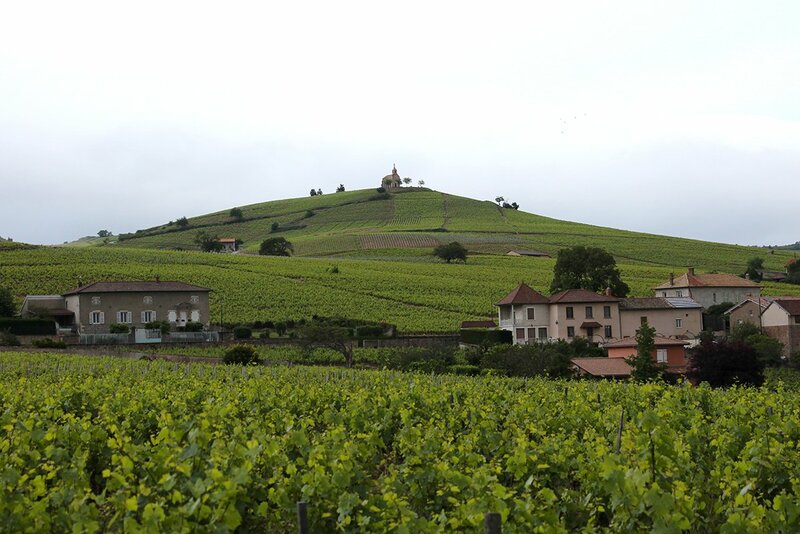 Fleurie is perhaps one of Beaujolais’ most elegant appellations. It, like the other crus of Beaujolais, is scrunched up in the north half of Beaujolais and are dominated by more the more complex soils: schist and granite. 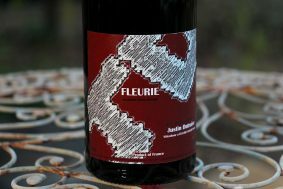 At Justin’s Fleurie vines, the soil is granite. The vineyards in Fleurie are spread out with quite a different elevation between 250-500 meters. The vines of Dutraive are just a short walk from the town center, which sits around 300 meters. 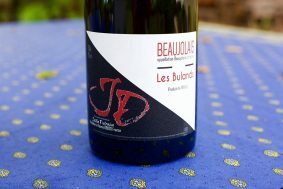 The climate of Beaujolais is semi-continental and is warmer than the rest of Burgundy. In fact, it is one of the warmest places in France during the summer months. Thankfully, they are the eastern foothills of the Massif Central which helps the vineyards cool down at night following hot days.